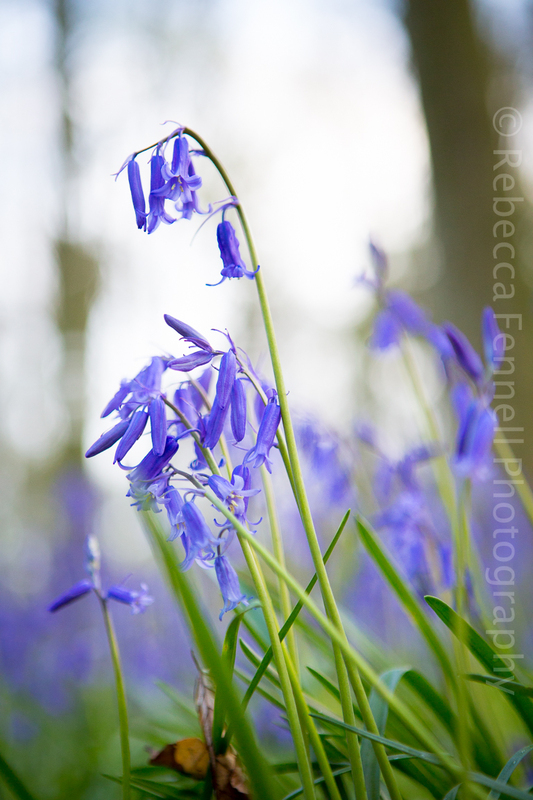 I grew up in a country where sun, sea and sand were the order of the day, not a bluebell in sight; you may well be wondering what I’m doing living here in England but that’s a story for another day. So despite living here for many years, it’s still one of my favourite times of year. 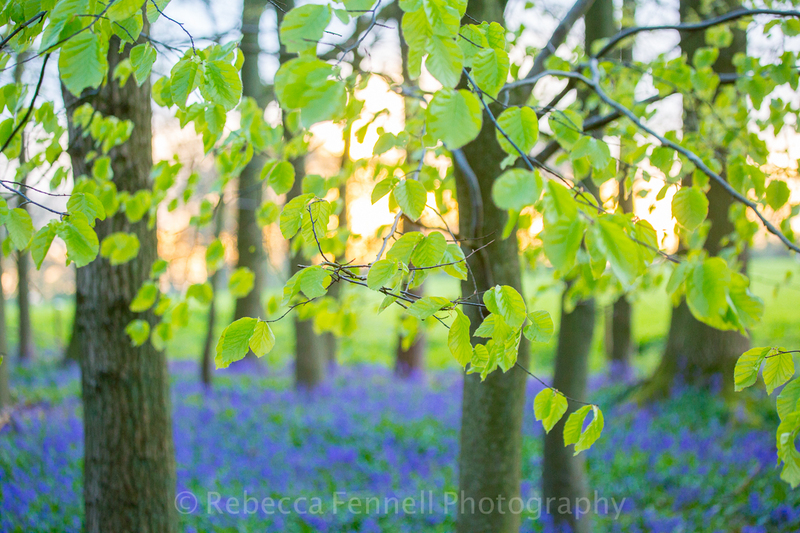 To me, it signifies that summer is on it’s way, new growth, new beginnings and lots of beautiful colour – I am a huge fan of bright colours! 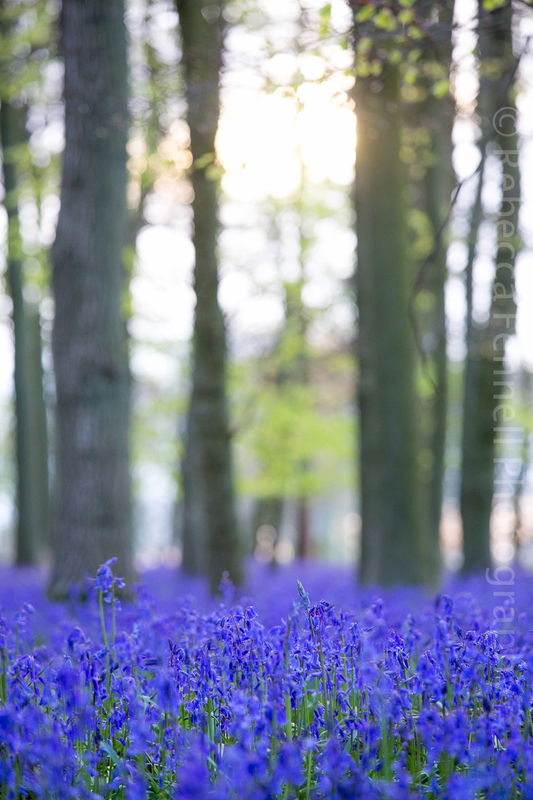 Every year I see something new and try to find new bluebell woods to capture. 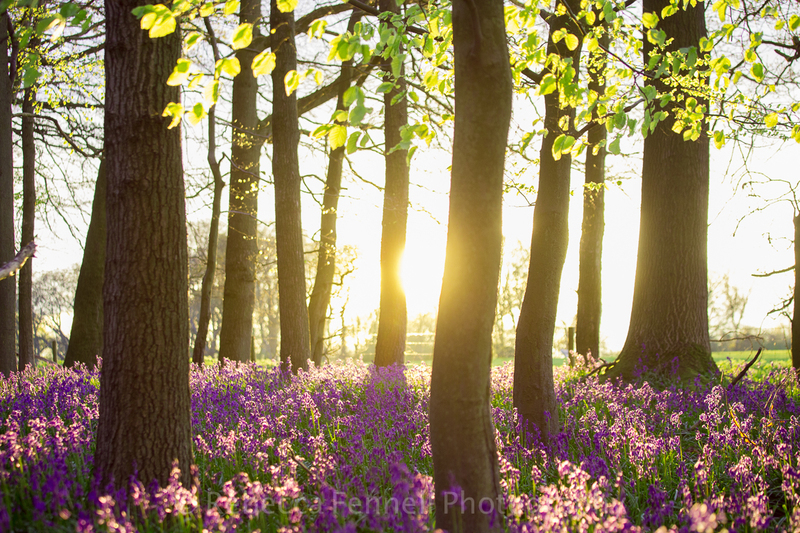 Have you ever noticed how different the woods look early morning compared to the middle of the day or early evening? For instance, late evening you get these wonderful long shadows cast by the trees themselves. 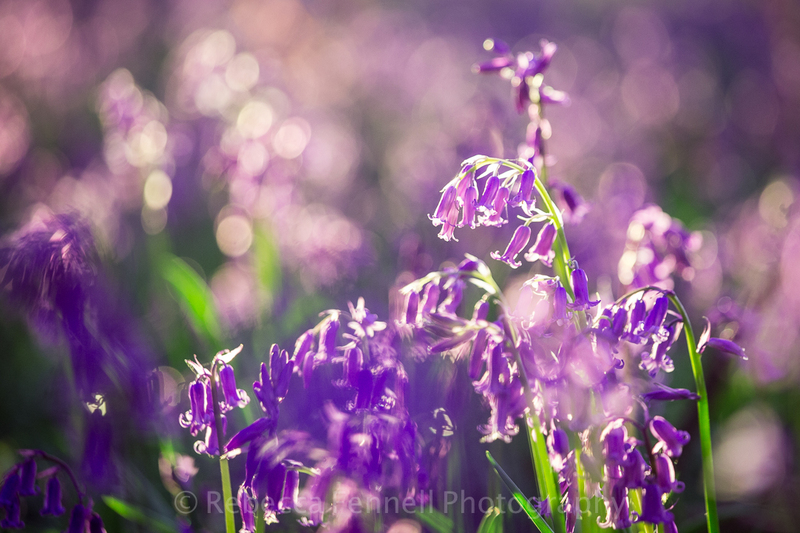 A little tip for you to take note when photographing the bluebells is that the light in the early morning and late evening is much softer than midday. Also, much fewer people around too as most will be getting kids up or kids to bed so it’s a win, win! I was always taught never to take photos into the sun – but actually, this is not always the case. Sometimes, backlighting your subject creates a beautiful halo of light around it, as is the case in these photos below. You’ll see the sun is pretty low so I had to use a lens hood to prevent lens flare but the effect is so pretty. If you don’t have a lens hood, it’s definitely worth investing in one because it’s useful for portraits too, as the same backlighting principle applies. As I always like to say to people, get involved with your subject! Don’t just stand in one place and take photos, sit down, lie down, get involved! 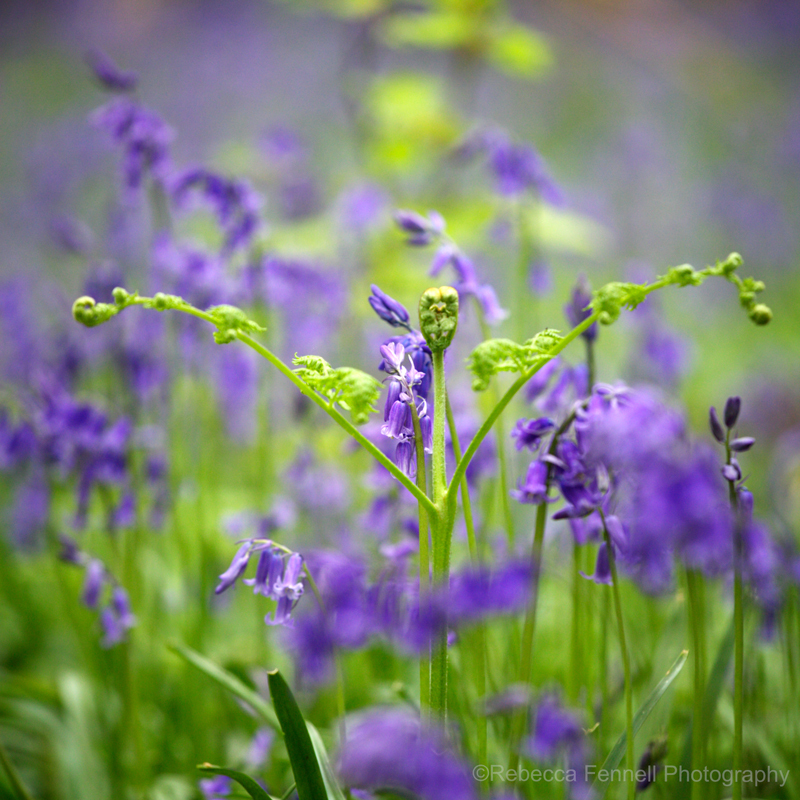 Below are some examples of different points of view of the bluebells, all result in interesting and different images. 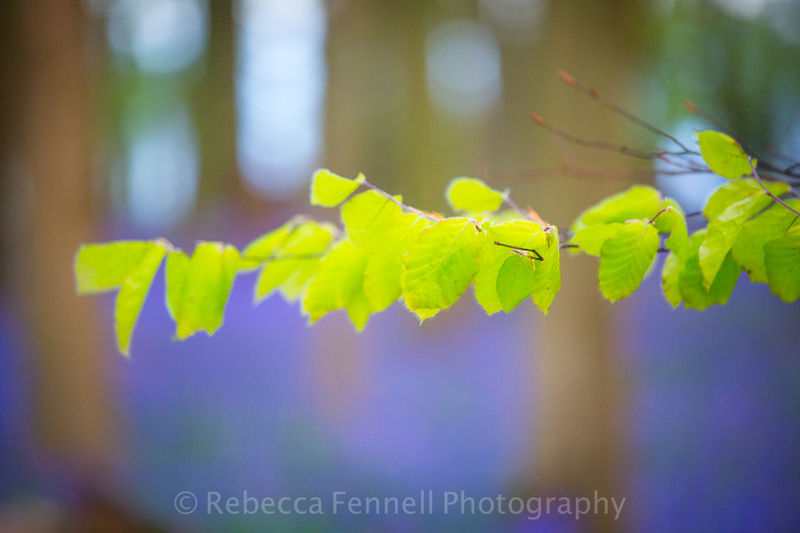 The other thing I love most about the bluebell woods is how green the new growth of leaves on the trees are, have you noticed that? 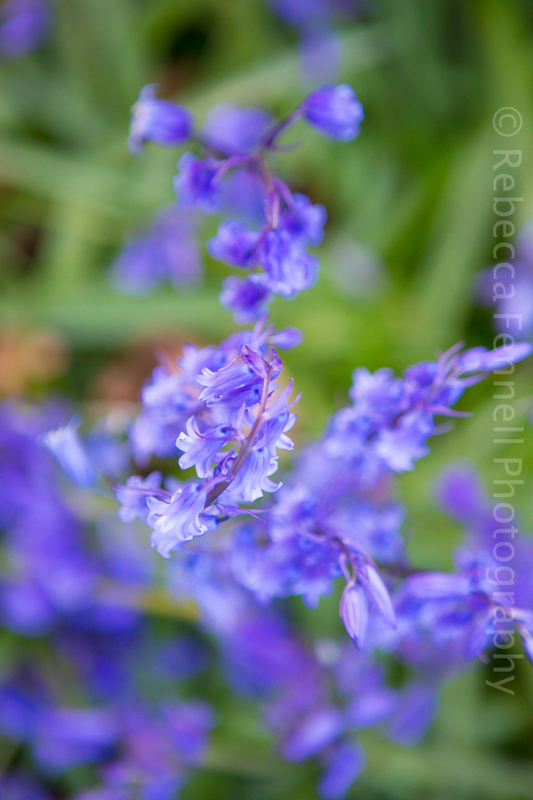 The contrast of the bright fresh green and the deep purple of the flowers truly always takes my breath away and is something I strive to capture in some of my photos. 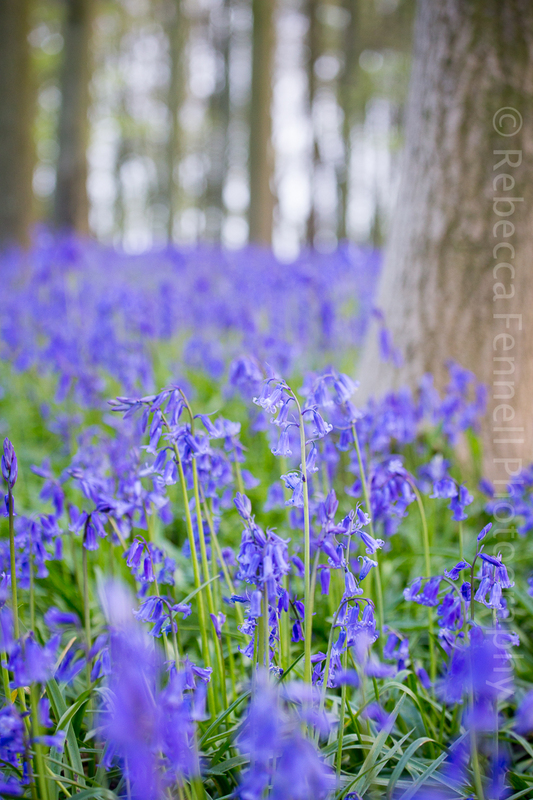 Hey Rebecca, if you’ve never been to the Bluebell woods in Hedgerley near Beaconsfield, Buckinghamshire you must! In morning sunlight the colour and scent is utterly breathtaking. Adore your images – throughout your website. 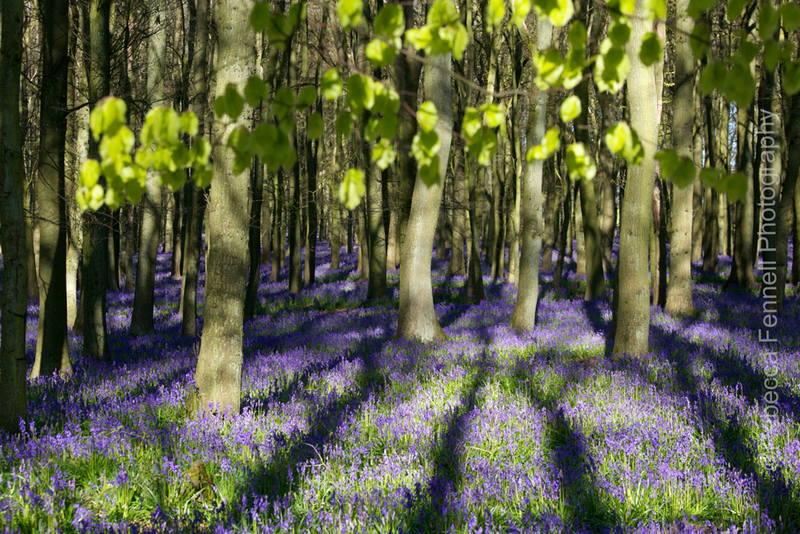 Hi Caroline, I haven’t been to the Bluebell Woods there so thank you so much for this info, I’ll definitely go! I’ve got your email now so will drop you a line, perhaps we can meet 🙂 Thanks for your lovely feedback on my images, just great!